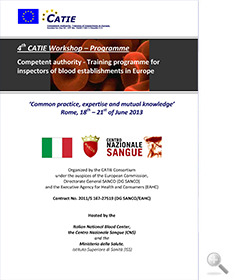 The first CATIE training course for inspectors of blood and blood establishments successfully concluded in late August in Budapest. This course was the first of three courses scheduled to be convened by the CATIE Consortium under a contract with the European Commission. We are pleased to inform you that applications are still being accepted for participation in a future course. Final selection of trainees is carried out by the European Commission (DG Sanco/ EAHC). Training costs (travel and subsistence) are covered by the European Commission funding granted to the CATIE Consortium. 2nd CATIE Training course (MSPSI, CVTB, Spain). Spanish Ministry of Health (MSPSI) in cooperation with the Blood Transfusion Service in Bilbao (CVTB). 3rd CATIE Training course. Hosted by the Maltese Government. 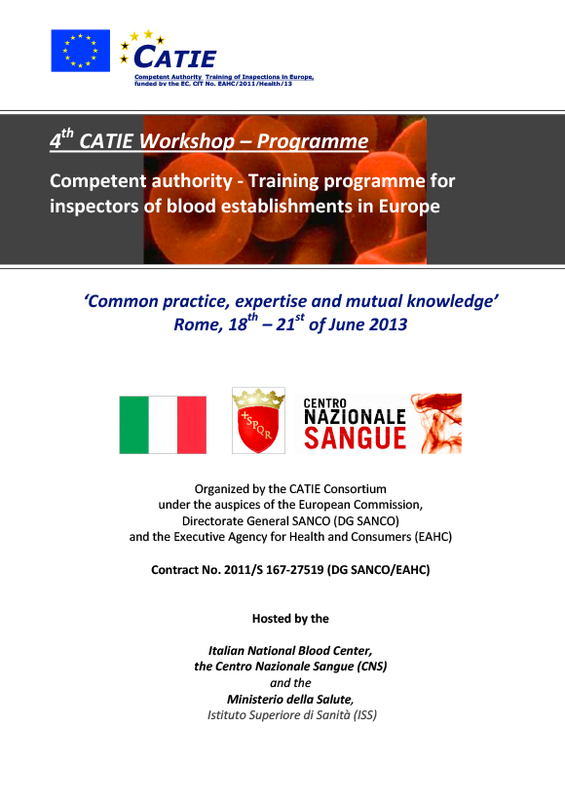 For pre-registration please fill in the contact details (below) or use the General Application / Pre-registration Form and the Europass Language Passport enclosed and mail these two forms to info@catie-europe.eu.. Invitation to the courses including access to distance learning material will be given by the CATIE office according to the selection criteria by DG Sanco. To prevent the misuse of the contact form, please enter the numeric verification code which is shown.